Bel Aria Arborio Rice, grown in the Piedmonte and Lombardia regions of Northern Italy, is still bound to traditional standards of excellence. 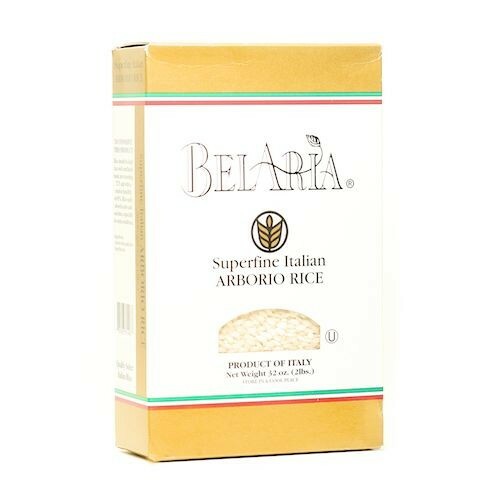 Bel Aria enriched Arborio Rice, with its high nutritional content - enriched with iron, niacin and thiamin, is more plump than regular rice and remains tender and moist when cooked. Arborio easily absorbs the flavor of the foods it is prepared with - making it the ideal rice for a delicious dish of Risotto.